Hotels are a 7 day a week business – we know that repairs and upgrades are non-stop and it’s good to have trusted partners. We have been working in the hotel industry for over 20 years – weather it has been Park Lane in London or a small county hotel in South East England. Maintenance issues need quick solutions as turning away guests is bad for business and your hotel brand. We’re here to help and can offer many solutions. With councils requiring 5 year EICR valid for the hotel, it’s important that this is kept up-to date to ensure that heath and safety and council requirements, and also to protect staff and guests. Refits of decor will be needed to stay ahead in the game and keep your guests rooms and general areas to the grade you have worked so hard to achive. 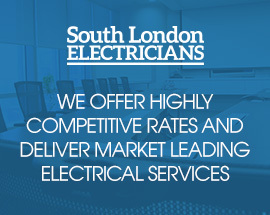 This is also true of other electrical services – if you have rooms that are having makeovers or total refurbishments, it’s normally cheaper to employ your own electrical contractors such as South London Electricians, as main contractors normally put 10-15% on subcontractors’ prices which will cost you far more than going to source. Will you get the service that you require?